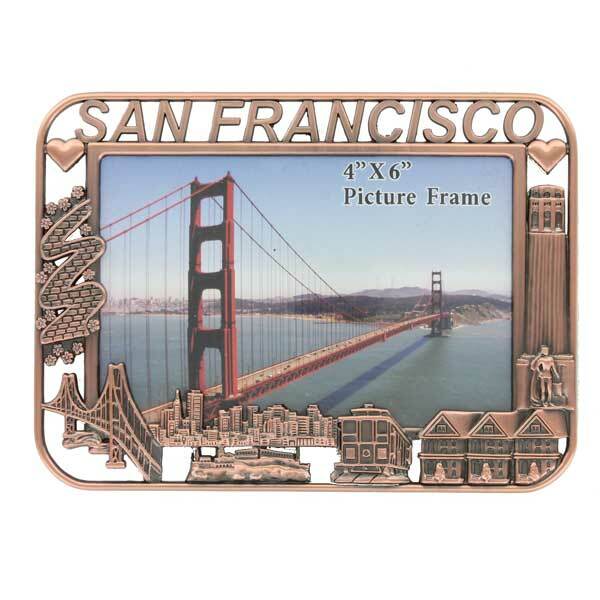 San Francisco City Bronze Souvenir Frame. Home | San Francisco Themed Home & Decor | San Francisco Photo Frames | San Francisco City Bronze Souvenir Frame. This Metal Frame simply beautiful. 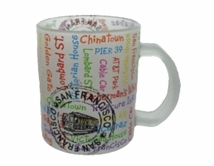 The base color is copper.This frame features several city icons that are sure to remind you of the fun of San Francisco such as Lombard Street, Coit Tower, a Cable Car, the Victorian Painted Ladies, Alcatraz and the city skyline. This picture frame is so beautiful. 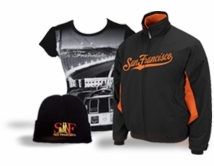 It's extremely detailed, and features many of the tourist attractions in SF that will leave you reminiscing. The only thing is that the the glazing is made of plastic not glass. It's still a great picture frame nevertheless.